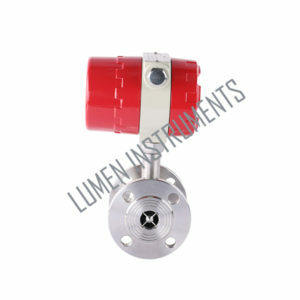 We have come up with reliable Turbine Flow Meters. The Turbine Flow Meters that we offer are manufactured with the use of best quality components that impart strength and endurance. Our Turbine Flow Meters provide accurate readings of the flow with an absolute ease. 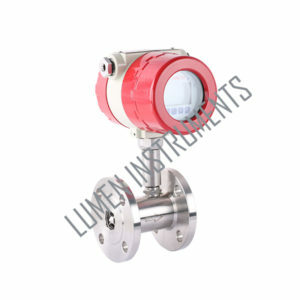 Our Turbine Flow Meters are easy to use and work with utmost precision. The RS485 communications standard is used by Measurement Systems Pickoff Sensor based data acquisition modules and many industrial control devices. The operation of the International Turbine Meter is based on the measurement of the velocity of oil, heavy oil, furnace oil , water and non-acidic liquids. The flowing liquid is accelerated and conditioned by the meter´s straightening section. The straightening vanes prepare the LIQUID flow profile by removing undesired swirl, turbulence and asymmetry before the fluid flows to the turbine wheel. The Dynamic Forces of the Flowing Fluid cause the rotor to rotate. The turbine wheel is mounted on the main shaft, with special high precision, low friction ball bearings. The turbine wheel has helical blades that have a known angle relative to the fluid flow. The conditioned and accelerated liquid drives the turbine wheel with an angular velocity that is proportional with the fluid velocity. The rotating turbine wheel drives the index head with the eight digit mechanical counter via shafts and gears. The volume and flow rate can also be indicated electronically. A proximity probe generates a signal at each passing blade of the turbine wheel. With the device-specific K-factor and the number of pulses, the passed volume can be calculated. With the measured frequency the flow rate can be determined. The rotating turbine wheel can also generate pulses directly by proximity sensors that create a pulse for each passing turbine blade. By accumulating the pulses the total passed volume and fluid flow rate can be calculated. Power voltage: 3.3 V 10AH lithium batteries can be used more than 5 years in a row. cumulative flow: automatically expand the display precision, the cumulative flow values can be reset. Power-fail protection: instrument coefficient, the Total flow values ten years is not lost when power supply drop.